There is an interesting article by Robin Dunbar in The New Scientist: Dunbar’s Number was named after Robin, from his theorizing that humans only had the brain capacity to manage roughly 150 relationships, although depending on gender, social skills and personality, this number could vary from 100-250. Dunbar observes that communication often breaks down when one exceeds 150 individuals (as evidenced in the Crimean War by the Charge of the Light Brigade) and the modern military and businesses only exceed these limits through strict hierarchies. Dunbar theorizes that language, laughter and communal music-making evolved as a way to stay connected to a larger group of individuals than possible through physical acts like grooming. Dunbar: “[N]ot only can we speak to many people at the same time, we can also exchange information about the state of our networks in a way that other primates cannot. Gossip, I have argued, is a very human form of grooming.” Christakis and Fowler (in the excellent book Connected) note that “…language is a less yucky and more efficient way to get to know our peers since we can talk to several friends at once but only groom them one at a time. In fact, in a conversation with a small group, we can assess the behavior, health, aggressiveness, and altruism of several individuals simultaneously. Plus, we can talk to someone else while engaged in another activity, like foraging for food in a refrigerator.” Christakis and Fowler note how radical the idea is that language evolved not primarily as a way to exchange information but to maintain group cohesion. “Dunbar estimates that language would have to be 2.8 times more efficient than grooming in order to sustain the [average] group size seen in humans” (one speaker per 2.8 listeners). While language may have originally evolved, as per Dunbar, to maintain a slightly larger group size, once developed it was in principle possible to use language to maintain social relations on a tribal or national level. Group living needn’t tax your intelligence too much. In a loose herd, cues such as body size or aggressiveness may be enough to judge whether you should challenge or steer clear of another individual. In bonded networks, however, you need to know each member’s personal characteristics and those of the friends and relations that might come to their aid. Keeping track of the ever-changing web of social relationships requires considerable mental computing power. 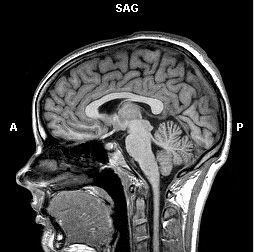 As a reflection of this, there is a correlation between the size of a species’ brain– in particular its neocortex– and the typical size of its social groups. In other words, brain size seems to place a limit on the number of relationships an individual can have. This link between group size and brain size is found in primates and perhaps a handful of other mammals that form bonded societies such as dolphins, dogs, horses and elephants. In all other mammals and birds, unusually large brains are found only in species that live in pair-bonded (monogamous) social groups. As group size increases so too does the number of relationships that need servicing. Social effort is not spread evenly. Individuals put most effort into their closest relationships to ensure that these friends will help out when they need them. At the same time they maintain the coherence of the group. As a result, social networks resemble a nested hierarchy with two or three best friends linked into larger groupings of more casual friends, and weaker relationships bonding the entire group. This hierarchy typically has a scaling ratio of three– each layer of decreasing intimacy is three times larger than the one before it…. Our social networks can have dramatic effects on our lives. Your chances of becoming obese, giving up smoking, being happy or depressed, or getting divorced are all influenced by how many of your close friends do these things. A good social network could even help you live longer since laughing with friends triggers the release of endorphins, which seem to “tune” the immune system, making you more resilient to disease. So what factors influence the form and function that our social networks take. In traditional societies, everyone in the community is related to everyone else, either as biological relatives or in-laws. In post-industrial societies this is no longer true– we live among strangers, some of whom become friends. As a result, our social circles really consist of two separate networks– family and friends– with roughly half drawn from each group. Because the pull of kinship is so strong, we give priority to family, choosing to include them in our networks above unrelated individuals. Indeed, people who come from large extended families actually have fewer friends. One reason we favour kin is that they are much more likely to come to our aid when we need help than unrelated individuals, even if these are very good friends. Family and friend relationships differ in other important ways, too. 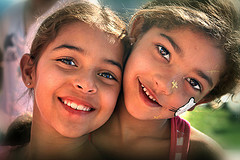 One is that friendships are very prone to decay if untended. Failure to see a friend for six months or so leaves us feeling less emotionally attached to them, causing them to drop down through the layers of our network hierarchy. Family relationships, by contrast, are incredibly resilient to neglect. As a result, the family half of our network remains constant throughout most of our lives whereas the friendship component undergoes considerable change over time, with up to 20 per cent turnover every few years. More than 60 per cent of our social time is devoted to our five closest friends, with decreasing amounts given over to those in the layers beyond, until at the edge of the 150 layer are people we perhaps see once a year or at weddings and funerals. Nevertheless, the outer reaches of our social networks have a positive role to play. The sociologist Mark Granovetter at Stanford University in California has argued that these weak links in our social networks are especially useful in the modern world. It is through this widespread network of contacts that we find out about job vacancies and other economic or social opportunities. More importantly, perhaps, 70 per cent of us meet our romantic partners through these contacts. “To test the assertions made in the literature, we conducted our own analysis using data collected through the National Survey of Families and Households (NSFH) fielded in 2001/2002….In our analysis of the NSFH data, it was possible to investigate the impact of homeownership on a range of factors including the respondent’s optimism about their own life circumstances; on church attendance; on getting together with neighbors; on participation in group recreational activities; on the time they spend in local sports, hobby and discussion groups; and in the number of times they participate in the activities of local service clubs, fraternal organizations and political groups…. Essentially, this [our] analysis asks the following question: if renters had the same income, age, education, and residential tenure as homeowners, would they be as optimistic about their own lives and be as civically-engaged as exisitng homeowners? Again, is there any benefit to homeownership per se? The results of this new analysis point to a number of individual and social benefits that accrue to homeowners even when compared to renters who have lived in the same place for nearly ten years and have equivalent social-economic status (SES) – income, education, and age. On the one hand, the analysis finds no difference between homeowners and renters in church attendance, in getting together with friends, or in participating in group recreational activities. On the other, homeowners tend to be more optimistic about their own futures, they participate more often in local sports and discussion groups, and most importantly they are more civically engaged in service organizations, fraternal groups, and political organizations… Before controlling for housing tenure and SES, 48.3% of homeowners report that they participated in sports, hobby, or discussion groups at least once a year; only 37.9% of renters reported such. After controlling for these factors, the probability of renters participating in these activities increases to 39.8%. Hence, homeownership per se appears to boost such participation by 8.5 percentage points or by more than 21 percent. Before controlling for housing tensure and SES, 37.5% of homeowners but only 27.2% of renters responded that they participated at least once a year in service clubs, fraternal organizations, or political groups. After controlling for tenure and SES, renter participation appears to increase to 31.5%, still 6 percentage points less than homeowners. That is, homeowners are 19 percent more likely to be active in these groups. Bluestone seems sympathetic to homeownership. His analysis is interesting but despite his effort to be “fair”, he likely overcontrols since he makes the highly unlikely assumption that one could have considerable number of renters with the same tenure as homeowners. One thing that Bluestone didn’t examine is how renters and buyers differ in their future intentions of rootedness and geographic mobility: only 25% of homeowners, when we conducted research for Bowling Alone, expected to move in the next five years versus two-thirds of renters. If we had policies in America that left us with far more renters, it seems wishful thinking to imagine that most of them would remain in community for as long as the owners. And thus even on the measures where Bluestone doesn’t find that homeownership is associated with higher levels of engagement after his demographic controls (namely, socializing and church attendance), homownership probably really is still associated with higher socializing and church attendance. Homeownership works to increase rootedness (partly psychologically and partly financially) and this rootedness increases socializing and church attendance. Bluestone also relayed an interesting and telling anecdote about his hometown of Detroit. Albert Cobo (Mayor of Detroit in the early 1950s) used the power of eminent domain to raze a poor community in downtown Detroit to prepare for highway expansion that never occurred. After the highway fell through, African-Americans’ hopes that the razed area would soon be rebuilt, the suburbs of Detroit were developed, but the area razed by Cobo remained vacant. Eventually the UAW developed a significant tract of housing in the razed area but insisted that all the homes be rental units. Edison developed a community across the street, even hiring the same architect to give the other community the same look and feel. Bluestone notes that while these areas (the UAW rental tract and the Edison ownership tract) attracted similar residents, the Edison (home-owned) units have remained in much better condition as the owners have worked to preserve their investments and volunteered for neighborhood groups that preserved the more general environment. My guess, although Bluestone didn’t say this, is that residential tenure was also much longer in the Edison ownership tract than in the UAW rental one. David Sloan Wilson is undertaking an interesting project to try to learn the rules for evolving cooperation while improving his community (Binghamton, NY), a city of 47,000 in upstate New York that has fallen on hard times with the industrial flight of corporate mainstays. A March 2011 Gallup poll found Binghamton to be one of the five least liked cities in the US. His effort is change all that is called the Binghamton Neighborhood Project (BNP). It raises all the usual interesting questions about being dispassionate and objective in one’s research, and not attempting to alter the very metrics one is measuring. Efforts include: a design your own park effort, a Regents Academy for at-risk youth where students are incentivized for good behavior and cooperation, the Binghamton Religion and Spirituality Project to survey and map Binghamton’s religious diversity. The Design Your Own Park initiative seeks to transform abandoned lots into community playgrounds. Groups submit ideas and the community votes on the idea the most like. The United Way of Broom County helps secure funding for the transformation and community groups agree to maintain the park. The goal is to foster parks throughout the city and there are 5 park projects underway including a BMX bike park and a dog park. At Binghamton’s Regents Academy, a higher percentage of at-risk students took and passed state tests than in other Binghamton schools, but no formal assessment has been done of the school. Moreover, at least as of June, the regime of rewards was still changing weekly and the principal, Miriam Purdy, while believing in the importance of the incentives, did not believe that the incentive program is about evolution. The Religion and Spirituality Project is motivated by Wilson’s belief that religion can play a central role in producing community cohesion and giving residents a sense of life meaning. Wilson believes that community residents (using his biological training) can behave either like water striders (which pursue their goals single mindedly, ignoring others) or wasps (which work together subconsciously for their collective good). 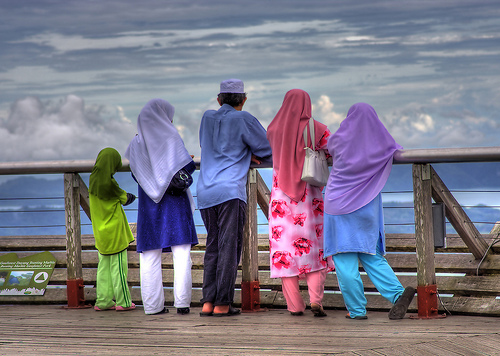 Pro-social groups can outcompete those lacking social cohesion, so he believes there is an evolutionary element to encouraging prosocial behavior. He believes the seven key elements to more effective collective efforts are: 1) a strong sense of group identity; 2) proportional costs and benefits for all residents; 3) consensus decision-making; 4) monitoring those who are anti-social; 5) providing graduated sanctions (ranging from minor slaps on the wrist to more serious sanctions for chronic infringers); 6) fast, fair conflict resolution system; and 7) autonomy/authority, nested within polycentric governance (which links these localized efforts together). Above and beyond these factors, he believes that residents need lots of practice at cooperating, and often our affluence buys us out of community, in the same way that David Brooks refers to the Haimish line. Read “The Neighborhood Project: Using Evolution to Improve My City, One Block at a Time”; excerpt available here. A review that I wrote about New Tech, New Ties: How Mobile Communication is Reshaping Social Cohesion for the American Studies Journal was finally published 3 years after I wrote it! A couple walking down street together with each talking to someone else on a cellphone. A plumber summoned to Ling’s Oslo house for a leak strolled into Ling’s home as house guests were saying goodbye. 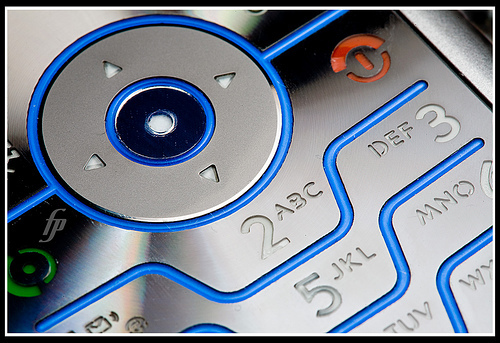 The plumber’s refusal to interrupt his cell call to introduce himself, or ask permission to enter, violated Ling’s sense of social norms, not repaired by the plumber’s nodding to Ling and removing his shoes per the Norwegian custom. Whether we should flush when someone in the adjacent bathroom stall is on an important call. What cellphone conversations should be off-limits in public? 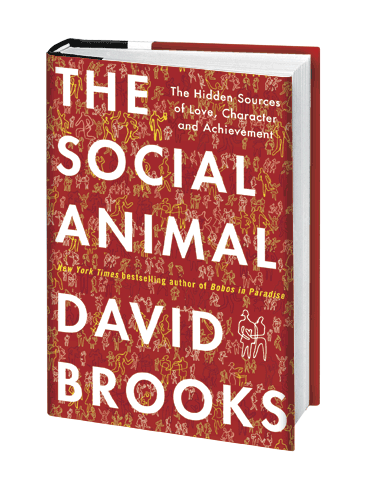 The Boston Globe reviews Brooks’ Social Animal: How the new sciences of human nature can help make sense of a life: “The outward mind, according to Brooks, focuses on the power of the individual; the inner mind highlights the bonds among people. Those bonds have become frayed in recent decades, he argues, and need rebuilding if we are to thrive as individuals and as a society. “ ‘The unconscious is impulsive, emotional, sensitive, and unpredictable. It has its shortcomings. It needs supervision. But it can be brilliant. It’s capable of processing blizzards of data and making daring creative leaps. Most of all, it is also wonderfully gregarious. Your unconscious, that inner extrovert, wants you to reach outward and connect. It wants you to achieve communion with work, friend, family, nation and cause. Your unconscious wants to entangle you in the thick web of relations that are the essence of human flourishing.’ ” (Boston Globe) Brooks suggests that the unconscious is more important to determining our actions than the conscious. The WSJ suggests that it is directionally correct (and that non-cognitive skills may be 75% of the action), but in fictionalizing research into its novels two characters (Erica and Harold), it strays from some of the strict limits of the underlying research. In the process of celebrating intuitive over rational thinking, Mr. Brooks lets his own unconscious biases get him into trouble. He describes in some detail, for example, clever experiments by Dutch psychologists who found that consumers make better purchasing decisions if they mull the relevant information unconsciously while their minds are occupied with other tasks—as opposed to making a quick decision or consciously analyzing the options and then deciding. But he doesn’t tell the reader about the one big problem with studies like this: Other researchers have been unable to reproduce their results. This is a chronic problem…[t]he first study on a topic is rarely the last word. …The narrative [in The Social Animal] begins with Erica taking a job with a consulting firm of wonks who show off their big brains by citing their favorite equations and debating esoteric trivia at staff meetings. They hire mainly on the basis of intelligence but never develop lasting, profitable relationships with clients. Once Erica figures this out, she leaves to start her own company. If this story is meant to illustrate a broader point, it must be that …[t]he brilliant are more likely than the average to be socially awkward. But…] in reality, tests of emotional intelligence correlate positively with IQ tests. But Mr. Brooks makes an even bigger claim: “Once you get past some pretty obvious correlations (smart people make better mathematicians), there is a very loose relationship between IQ and life outcomes.” [Chabris notes that Brooks in relying on an argument made by Malcolm Gladwell in Outliers that IQ attendance at Harvard or MIT can’t predict who will win Nobels, encounters problems that this research is based on] “tiny sample sizes, the shaky assumption that prize juries (and elite universities) make decisions based only on merit, and the focus on the tails of a distribution (here, the highest extremes of intelligence and academic achievement), which is the method guaranteed to tell you the least about the characteristics that matter across the whole range of human ability. To dismiss IQ testing as invalid because it can’t pick out the minuscule minority that will attain world-wide fame is to confuse a positive correlation with a perfect one. Only oracles have perfect records of prophecy, and surely no one desires a world in which IQ tests are that good. …The research that Mr. Brooks minimizes or ignores does not, of course, prove that intelligence is the only relevant trait for success. A host of “noncognitive” skills, many of which Mr. Brooks explains well, are undoubtedly important. But there is no need to tear down intelligence in order to build up the rest. Even if differences in intelligence explain 25% of the differences among people in how well they perform at work (a much better estimate than the low-ball 4% cited by Mr. Brooks), there is still three times as much territory left to be mapped out. Surely that’s plenty of space for researchers to investigate the role of social acumen, mindset, culture, self-control and much else. A thousand flowers can bloom. See also David Brooks’ humorous TED talk on this topic, relating his talk to everything from politicians, to school reform, to financial reform, to the war in Iraq. He discusses why the rational world has trumped the social and emotional world at great cost. He talks about how we are deeply social animals, and formed out of relationships with each other (mentioning the importance of “social capital.”) To succeed in life, Brooks believes we need mindsight (empathy into what others are thinking), equipoise (serenity in reading our overconfidence and biases), metus (sensitivity to the physical environment), sympathy (ability to work within face-to-face groups through non-verbal communication), blending (a new fusion of two different ideas), and limerince (the ability to find moments of transcendence). I wrote earlier about some insurers using social capital in making decisions of whom to insure. That post and a story sent to me by Lew Feldstein about doctors prescribing outdoor time got me thinking about doctors and social capital. In the same way as doctors ask questions of patients around smoking, exercise, diet, etc., why shouldn’t doctors also ask patients to fill out a short survey about social capital activities they engage in: number of confidants, how many of their neighbors’ first names they know, how often they go to friends’ houses or entertain others in their home, etc.? 1) to track real changes in the patient over time: e.g., if a patient used to report 2 confidants and now reports zero it would be a chance for the doctor to find out what had triggered this (a friend moving, serious arguments, a close friend dying, etc.) that might help identify patients at risk of being socially isolated or going through stressful times. 3) to prescribe social capital “treatments”. We’re far more used to a doctor prescribing an antibiotic or an aspirin than recommending that a patient get actively involved in a group (on a topic he/she cares about). And some social capital deficits are more easily treated than others — it’s hard to suddenly develop a confidant. But doctors might note to patients that there are real health consequences of being socially isolated and being socially and civicly uninvolved: i.e., getting sick more often and recuperating more slowly. If acquiring a confidant in the next year is not a doable goal, maybe deciding which of ones’ friends have the potential to be confidants and taking some steps to start to deepen these relationships might be doable over the next 6-12 months. Patients might agree to certain steps they want to take and put them on a card in a sealed and addressed letter that gets sent to them in 4 months. Nudges can also be used to help people keep promises (through ongoing social groups that hold their members accountable for their promises, checks that go to disliked groups if commitments are broken, etc.). And as to why? Doctors might point out that they would rather be prescribing social capital now than prescribing hypertension drugs five years down the road. This is by no means an overnight phenomenon. Scholars at Oxford have refuted the notion that all mammals over time developed larger brains. Instead Dr. Susanne Shultz and Prof. Robin Dunbar found over a span of 60 million years that more social creatures, among them humans, had the most rapidly expanding brain sizes to cope with the complexity of collaboration, social norms and coordination. They noted that the fact that cats’ brains did not expand while dogs’ and horses’ brains did, can be accounted for by the far more solitary lives that cats lead in relation to dogs and horses, which interact far more with humans. Obviously, since these evolutionary anthropologists couldn’t go back in time to distinguish social cavemen from more solitary cavemen, it is impossible to tell whether the expansion of brain size was related to the average levels of socialization of a species or whether this same pattern would have held true at the individual level: with offspring of more social parents having larger brains than offspring of less social humans. Nonetheless, food for thought… The implication: get out and socialize and help our species to continue to grow our average brain size, although the results may not be noticeable within your lifetime. The study is called “Encephalization is not a universal macroevolutionary phenomenon in mammals but is associated with sociality” (PNAS Journal, November 30, 2010, by Susanne Shultz and Robin Dunbar). Abstract here. Shultz and Dunbar’s center, Oxford University’s Institute of Cognitive and Evolutionary Anthropology, is here.